The AIA advocates for the value of architecture and gives architects the resources they need to do their best work. 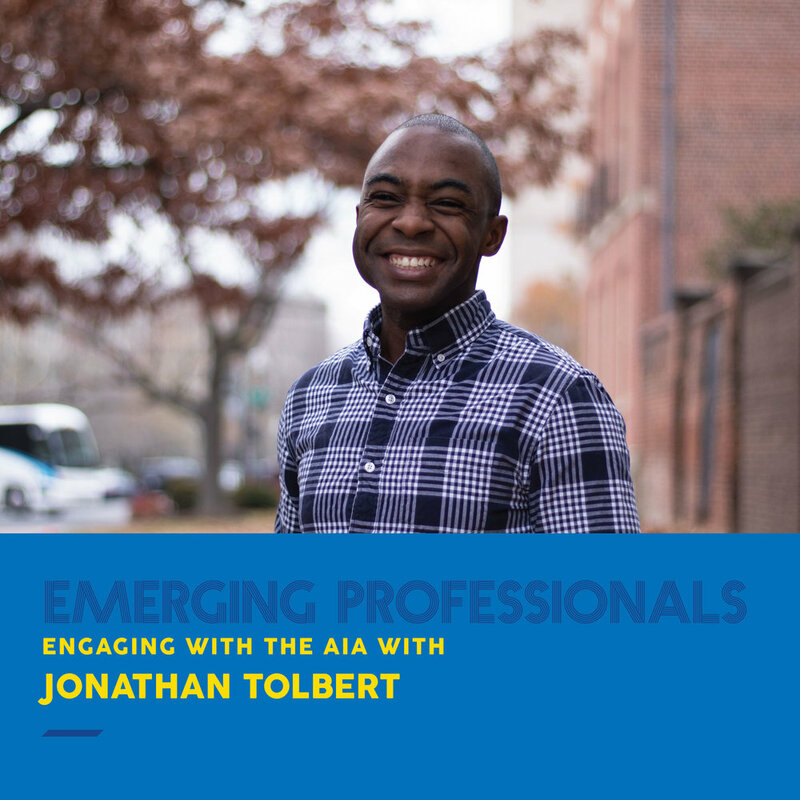 Join Jonathan Tolbert, Assoc. AIA, for an discussion on how you can connect with the AIA locally and nationally. We’ll explore national initiatives and local efforts that keep you plugged in and engaged with your architectural community. Together we will drive positive change through the power of design. Jonathan Tolbert is an architectural professional who seeks to understand how architecture can empower communities and be a catalyst for change. During the day, he is a Manager in the AIA Center for Emerging Professionals creating programs, events, and initiatives to support the career development and elevate the voice of emerging professionals. He manages the National Associates Committee, and develops educational tools to bolster the architectural pipeline. In his free time, Jonathan is the Director of the Washington D.C. chapter of Open Architecture Collaborative, a non-profit organization dedicated to serving underrepresented and marginalized communities.